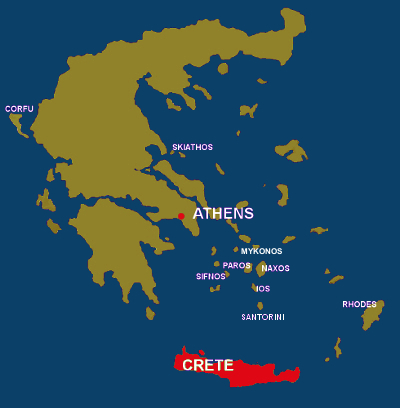 Crete is the largest and most varied of the Greek Islands. It is 173 miles long east to west and as narrow as 5 to 30 miles north to south. In the west, it is covered with lush evergreens, while at the east, Crete is more arid and even hosts palm groves at Vai. There are beaches, resorts, hotels, apartments, archeological sites and ancient cities around the island. The interior is home to high mountain peaks and is popular with climbers and hikers. If you are looking for more than a beach holiday, Crete may be the best choice for you.